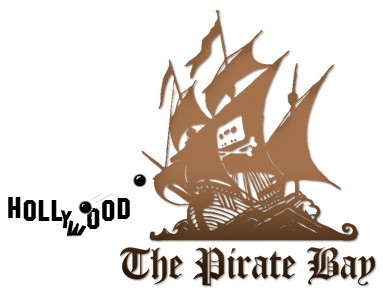 Swedish torrent site The Pirate Bay is in trouble with the law (again). Four men have been charged with conspiring to break Swedish copyright law. Swedish prosecutor Hakan Roswall stated that The Pirate Bay is in violation of Swedish copyright laws because it commercially exploits protected work. But the four Swedes remain defiant. “We’re tracking over 1 million torrents. We have had over 10 million simultaneous peers on the trackers. We’re at 2.5 million registered users,” they write on their site. The charges relate to 20 music files, nine film files and four computer game files. Pirate Bay servers do not store copyrighted material, but provides links to downloads of copyrighted films, TV programmes, albums and software. Source: IT News and The Pirate Bay. For the Networks, Production Companies, Artists, its a hard war to win. I use torrents quite a bit as well as DDL’s and they can be very addictive and on many occasions very convenient. If I miss a show on TV or want to keep up to date without waiting for months till shows reach our shores then this is a very simple alternative. Sadly, it does do damage to the industry. Its like fighting a war on Drug Dealers, you take one out and ten pop up in its place.